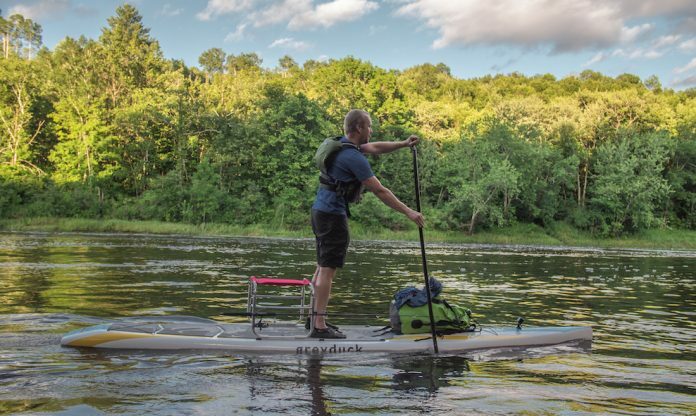 Hailing from the paddlesports mecca of Minneapolis, Minnesota, The Grey Duck Group announced the launch of its Quetico14: a revolutionary new touring SUP for hauling gear, fishing and portaging on extended adventures. The patent pending Quetico14, which comes standard with the Greyduck Portage System, is an industry first transport system that allows a paddle board to be carried overhead with ease. It also doubles as a seat, giving riders the ultimate in comfort both on and off the water. The Quetico14, with integrated Greyduck Portage System, solves the traditional problems related to transporting boards across land in remote places. 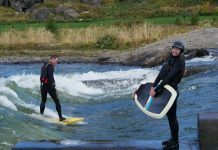 With conventional transport systems, the board is carried on the side of the body, close to the ground. This creates strain and fatigue on the lower back, as the weight of the board is offset to the side of the person carrying it. Getting the board overhead balances the board on the shoulders and over the hips, allowing the board to be transported over longer distances with less fatigue. Overhead transport is also superior for navigating steep and rugged terrain, where proper foot placement is critical. 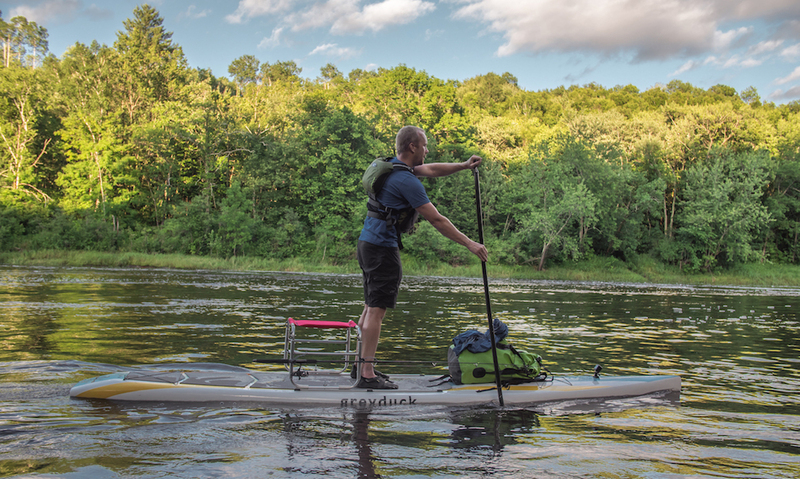 Because the Greyduck Portage System leverages a track system as part of the design, it allows the carriage to be slid backward on the board when being paddled. The carriage doubles as a seat when on the water, giving the rider a place to sit should they desire to do so. 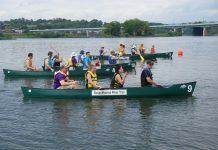 The seated position is perfect for fishing or for paddling when conditions get harsh. The Quetico14 is available for pre-order now, through Greyduck dealers or greyducksup.com. Boards will be delivered to customers in the spring of 2019. Retail Price is $1,899.99. 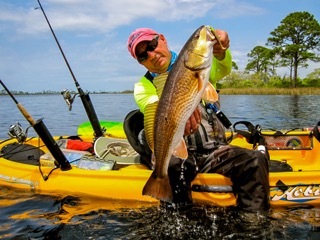 Previous articleDon’t Be Confused: New Paddle Sports Tradeshow Announced for Orlando in January?